Like all our office screens, Laminate Screens are the perfect product to have in your office if you are trying to create a partitioned area for private meetings or other specific uses. Also, our laminate office screens have the ability to be written on as they can be installed with 'wipe clean' technology. This allows you and your business to invest in an extremely practical screen with a number of uses. Not only do our laminate office screens allow space to be sectioned off for a meeting room or a separate office, but it can be used for the meeting agenda or to jot down ideas, which can be just as quickly removed. Your office can still look great too. 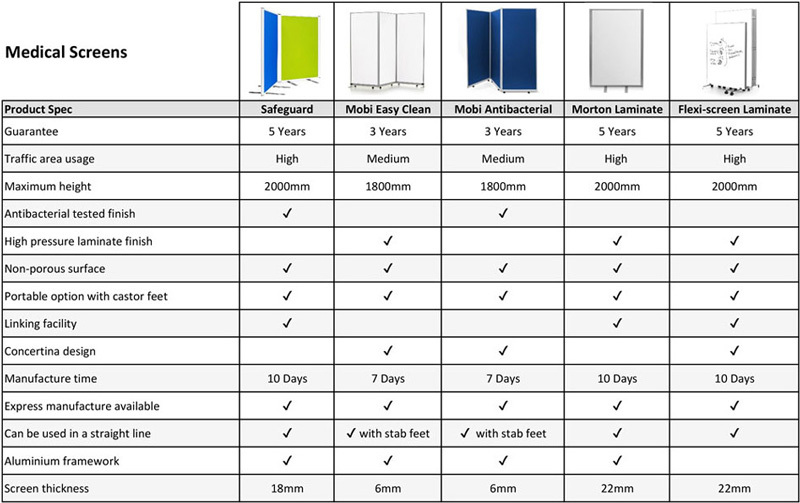 Our Morton range of laminate partitions are fitted with a powder coated aluminium frame, which provides a stylish and sleek look to any office space and with a choice of the colours available for the laminate, our screens can suit any office décor. Our laminate office screens also come with a five-year guarantee, so you can be sure to invest in a top-quality screen that looks the part, for longer. Strength is another important aspect when purchasing a screen for your office and is a key attribute to all of our products. For any advice or guidance as to which option is the best for you, why not contact a member of our experienced team and we will put you in the right direction, so you can benefit from the best product and for a price you will appreciate. 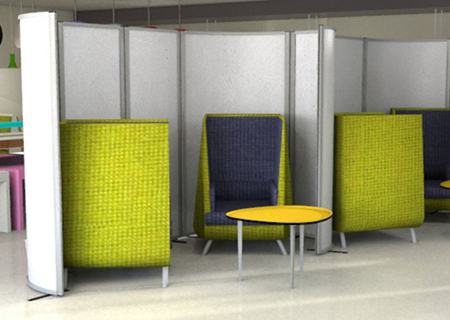 Laminate office screens retain the same high-quality design which features with our other office screens. This means that they are lightweight and can be easily moved when required, but they are also sturdy and stable once setup and in place. With every screen included in this section, we apply a high-pressure laminate to each. This ensures a fantastic finish which is designed to last for many years to come. The design and manufacture of the laminate partition screens is undertaken here at Rap Industries. Each product is made to order, which means there are a variety of ways in which the screens can be modified in order to adapt to your environment. Throughout this manufacturing process, we always use high quality materials so that the laminate office screens retain a fantastic finish even after regular use. A main priority of ours when designing the laminate screens was to create a product which is easy for our clients to use. We ensure that each screen is easy to set up as soon as you pull it out of the box, so they can be set up in a matter of minutes. All that is required on your part is to apply some linking strips or desk clamps and then the laminate office screens are ready to be used.